The Kuvasz temperament makes him a clown at times, but a clown who would do whatever it takes to protect his family from danger. He is a wonderfully loyal dog with a high level of patience and a strong work ethic. The Kuvasz is a bit of a clown, with a sense of humor that can last all the way through to adulthood. These dogs are incredibly loyal to their families. They love any and all attention you want to lather them with, though they can also have an aloof or independent streak to them. The Kuvasz’s independent streak can make training a bit of a hassle. It’s no fun trying to train a dog to do one thing when he wants to go off ignoring you and exploring something else. The Kuvasz has a high pain tolerance. This is both good and bad. This is bad because it may take something truly severe for you to know when he is suffering. However, it is also good because he has all the patience in the world for toddlers who may play with him a little too rough. You have to keep an eye on him, though. What may just be a normal play session with the neighborhood kids, he may interpret as being a threat to the children he loves. This is true for animals as well. So long as you raise them together, he should get along just fine with the other animals in the house. However, any animal that dares to “trespass” upon his property is going to get an earful from him! The Kuvasz’s intelligence is different from that of other breeds. Usually, when you say a dog is “intelligent,” this means that he understands what his master is asking from him, and he does it. The Kuvasz, on the other hand, sees a problem and figures out his own way to solve it independent of any outside influence. This is one such trait that makes him such a good working dog when he’s out in the field. Kuvaszok are equipped and able to stand in front of whatever danger presents itself to their families. They are fearless and will do whatever it takes to keep their loved ones safe. 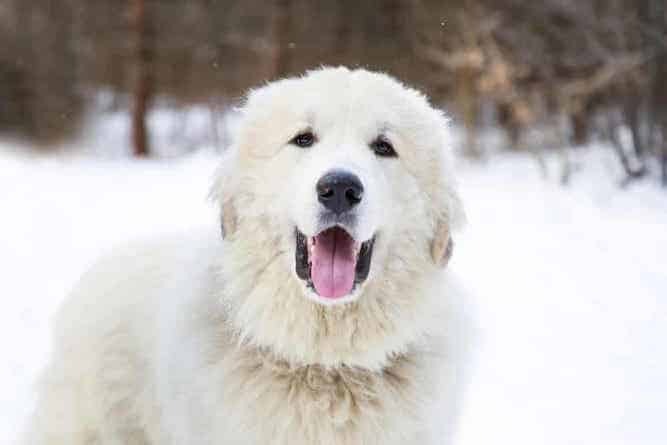 Experts trace the earliest Kuvaszok to 2000 B.C. when the Magyar tribes brought Kuvasz-like dogs with them to conquer the Carpathian Basin in Hungary. 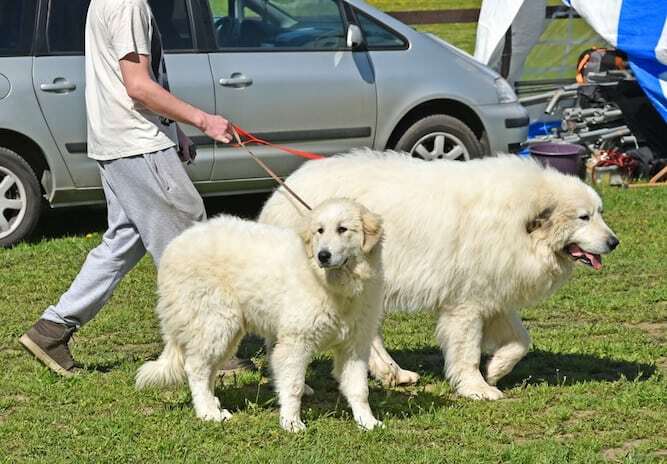 The Magyars primarily used the Hungarian Kuvasz as a livestock guardian. In 1978, the discovery of a fossilized Kuvasz-like skeleton led experts to believe that the Kuvasz breed is among the oldest of the identifiable dog breeds. When training a Kuvasz puppy, you definitely have your work cut out for you. This is because he is slow to mature, so you will have to train him longer than other breeds. He is a great problem-solver, but he is also sensitive. For this reason, he does not respond well to harsh scolding or repetitive training. Focus instead on rewarding him for accomplishing whichever challenging task you set up for him that week. Rewards can be in the form of praise or treats but keep the treats sparse to prevent obesity. You can also give him a few pieces of his own food since that would probably be healthier than a treat. He can be suspicious of strangers and wary to make new friends. To break him of this, you must socialize him often and beginning at a young age. The earlier you socialize him, the more well-adjusted he will be as an adult – kind of like a person! The Online Dog Trainer by Doggy Dan a world-class Dog Trainer from New Zealand is worth taking a look at. His online resource has hundreds of fun informative dog training videos that can help you learn the basics and advanced techniques to effectively train your Kuvasz dog. Grooming the Kuvasz is a rather simple task. You only need to brush him once a week to keep him looking neat and clean. An occasional bath will also do wonders to freshen up his coat. A bath will also reduce the amount by which he sheds if you can clean the hairs off of him before they hit the floor. Trim his nails every month or so if they do not wear down naturally. Else, long nails can make walking uncomfortable for him. When looking up the Kuvasz vs Great Pyrenees, you may find yourself confused as to which one’s which. However, while they both have white, fluffy bodies, the Great Pyrenees can have markings, while the Kuvasz is always white. Not only that, but the Great Pyrenees is actually slightly larger than the Kuvasz. The Kuvasz is a strong working dog and, as such, requires an ample amount of daily exercise. If you are going to work him out in the yard, you must have a fence. He is large, and he is agile, so he will find his way out of the yard if you do not properly fence him in. He also grows pretty quickly. So, while you may think you still have time to get a fence, he may “outgrow” your yard faster than you had expected. In other words, definitely, don’t wait on getting a fence if you don’t already have one. And speaking of fences, make sure it’s one that you can’t see through. Else, he may drive the neighbors nuts by barking at every little sight and sound in an attempt to ward off any potential threats to his family. The average Kuvasz size is between 26 and 28 inches for a female, and between 28 and 30 inches for a male. The Kuvasz's life expectancy is between 10 and 12 years. Note: If you agree that your health and your dog's health should be a top priority then get a copy of The Ultimate Guide to Dog Health. Your Kuvasz friend will love you for it. This guide will help save you money, time and most of all help you keep your dog healthy. Okay, so you've decided to bring a Kuvaszok into your home. The only question now is, how? 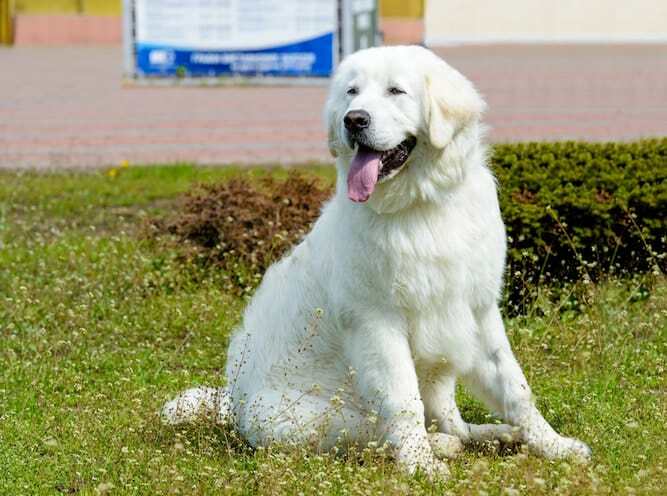 You can find a Kuvasz for sale either through a breeder or from your local animal shelter. The average Kuvasz price can be upwards of $2,000. The Kuvasz puppies price varies based on the breeder selling the dog, the location of the breeder, and the pedigree of the dog's lineage. If you are interested in Kuvasz puppies, you may be able to find one at your local animal shelter. A Kuvasz puppy for adoption will always cost less than one from a breeder. If you don't find a Kuvasz at first, keep trying. Shelters are always getting new dogs, so you just never know. If you're looking for a Kuvasz breeder, a good place to start is The Kuvasz Club of America. An official page for the breed, they host a reputable list of breeders you can contact. 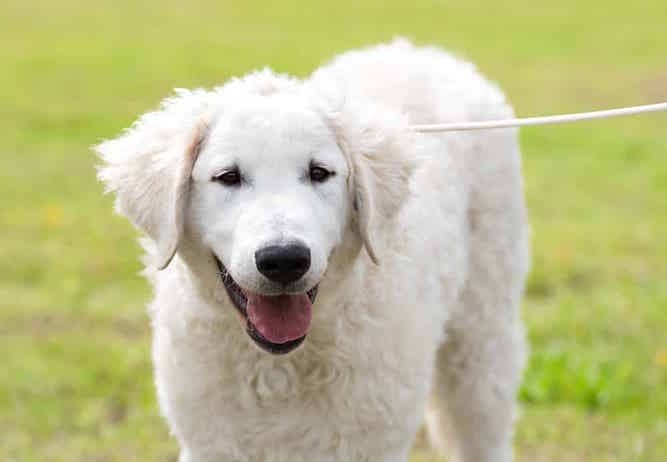 A good Kuvasz breeder will answer any questions you have about the puppy you are interested in – even if that means they don't get the sale. It’s more important to them that you’re knowledgeable and happy about your purchase. This way, you won’t give them a bad review that could affect their future sales down the road. 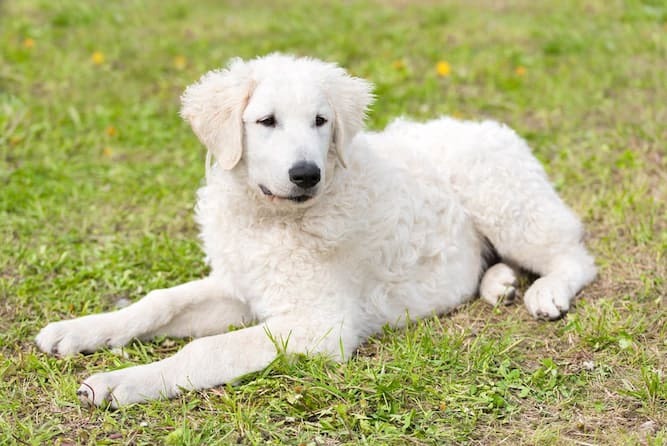 Conclusion: Why the Kuvasz Dog? The Kuvasz temperament combines a class clown with an expert watchdog. He loves to make you laugh, and he loves to keep you safe. He is a loyal dog with a patience streak a mile wide, which makes him ideal in a house with young children. He can take the rough treatment kids will often put dogs through – but you should still supervise the situation to ensure things don’t get out of hand. The worker dog side of the Kuvasz requires a higher level of daily exercise to feel satisfied. Grooming him isn’t a problem, though, as you only really need to brush him once a week and bathe him once a month.